If you are missing most or all of your teeth, you may benefit from the traditional and implant­-supported dentures provided at our Germantown, Trenton, and Jackson, TN, offices. At Elite Dental Care, our team can create dentures and place dental implants under one roof in our state-of-the-art facility. During your initial appointment with one of our dentists, they will discuss each of the denture options available to you and help you decide which type will work best. We will also take your budget, oral health, and cosmetic goals into consideration when recommending a treatment solution. Elite Dental Care can provide various types of dentures to meet your needs. While traditional dentures may be a sufficient solution for some patients, others may prefer implant-supported dentures for added stability. Our doctors can help you determine the best option for you. Dentures can improve both your dental function and appearance. When tooth loss occurs, your facial tissue will begin to sag and collapse. Dentures can give you a more youthful appearance, maintaining the contours of your face, and restoring the natural look of your smile. Our doctors helped this patient replace his missing teeth with a custom partial denture. Before - This patient was missing teeth at the front of his smile. After - A partial denture was placed to complete his smile. At Elite Dental Care, we offer both traditional and implant­-supported dentures. Depending on your needs, preferences, and oral health, we can develop your dentures in-office or send them to a lab that specializes in making customized dental prosthetics. Traditional dentures are an affordable option designed to replace an entire row of teeth. Made from gum-colored acrylic with natural-looking false teeth, it will rest directly on your upper or lower alveolar ridge. Traditional dentures are held in place with suction and a mild adhesive. You must remove the appliance each night for cleaning. In most cases, your dentures will require replacement every three to six years as your jawbone continues to shift and change. Dentures can give you a more youthful appearance, maintaining facial definition and restoring the natural look of your smile. This option requires the placement of dental implants into your jawbone. These titanium posts imitate the root of a natural tooth and hold the restoration firmly in place. Because it is permanently affixed, you do not have to worry about your denture ever slipping out of place. Although this type of denture costs more than traditional dentures, it offers more stability, provides longer-lasting results, and is better for your overall oral health. 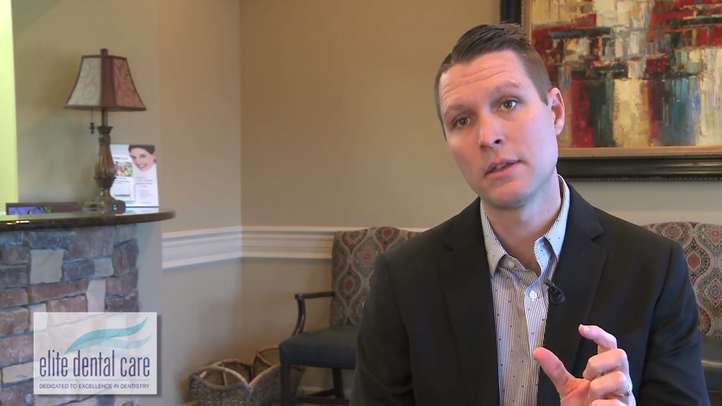 John Hosick shares his experience as a patient of Elite Dental Care. Extractions, dental fillings, and partial dentures have enabled him to chew and speak normally after years of suffering from the inconvenience of missing teeth. He has been so satisfied with the results of his treatment that he frequently recommends us to his friends and family.
" Elite Dental Care is a wonderful place to have any type of dental work done. The staff is professional and genuinely care for their patients. They always go out of their way to make me feel comfortable and at ease." For these reasons, it is important to replace your missing teeth as quickly as possible. You can learn more about the different types of dentures available to you during a visit to our practice. Contact us today to schedule your consultation.